MAUREEN DOWD Loves The RSC! 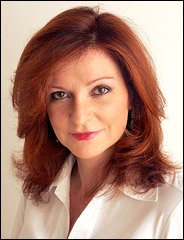 New York Times op-ed columnist Maureen Dowd recently referenced the Reduced Shakespeare Company in one of her columns. We like her suggestions for a new RSC show. The Complete Guide to the Presidents (abridged), anybody? Read her full columns here and here.